That is looking very cool! So finally got the boat back, happy days. 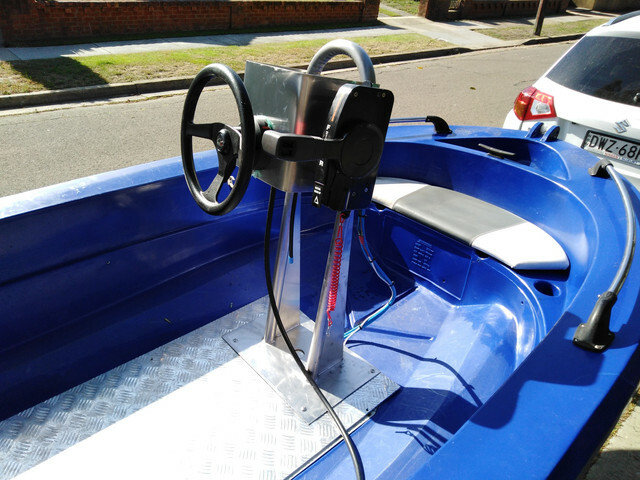 Controls work great and happy with the general set up but I will be chopping the alloy box down by 30% to make it even smaller. Would like a smaller steering wheel but I test this 1 first. 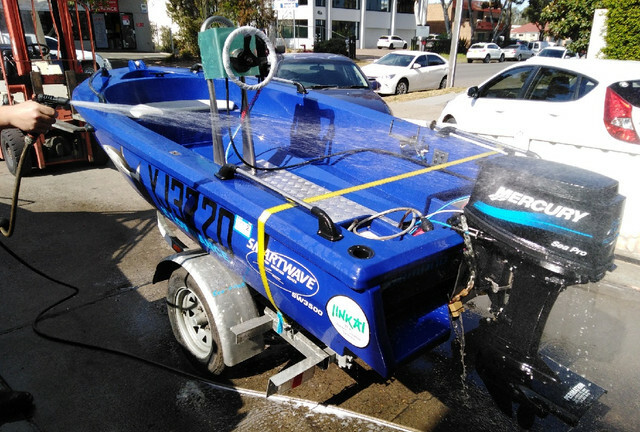 Boat will get a run down at Jervis bay this weekend. Nice mod. Guna hide that cable under the floor? "Tight lines and white knuckles"
hay Habes, plan was to hide it, but its fairly bloody stiff, I may run it back under half way along. That's a great little project Steve, well done mate. I can see why you'd need carpet though - the glare off that plate will be a killer. Go the foam brother, you won't regret it. 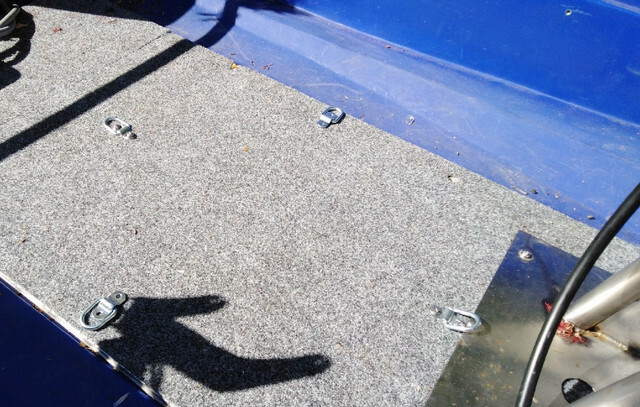 marine carpet went in a few days ago, 30hp and by myself its a handful, Im going to move the console back 10cm just to get a bit more weight rearward. 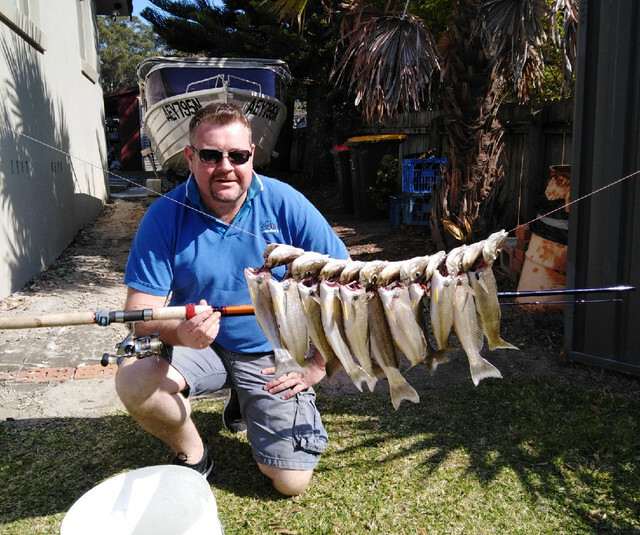 Heading off to Wyanagala Dam tmw for 3 days of Cod and yella belly fishing. Tow rope and mat will be taken, see if it has enough grunt to tow a few kids. OK Wyangala came and went, 41 C for a few days, afew Cod caught n drank too much piss. Carby blocked but I managed to clear it after driving home by opening the nut underneath the Carby. Busy with other stuff over the break I finally ripped back into Smartwave, Liquid nails and some Marine carpet from Bunning. 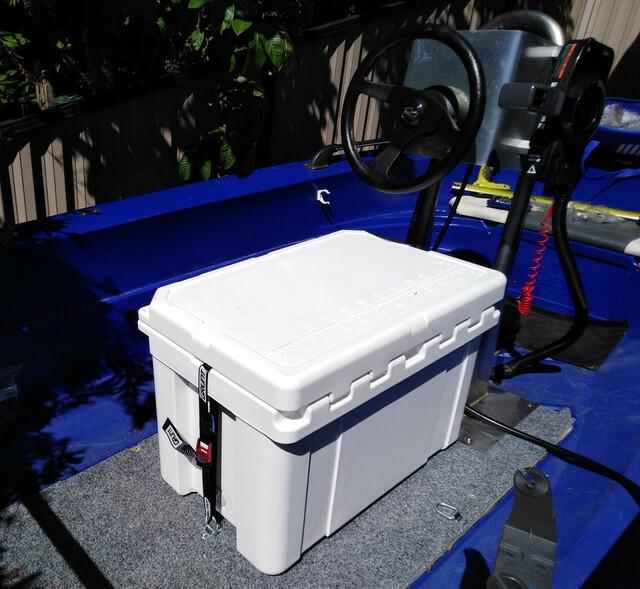 Mate guilotined the floor back about 10cm and I finally found a solution to the onboard esky/seat set up. 50L Promarine cooler from Bunning which has nice little slot to run an ocky strap thru. 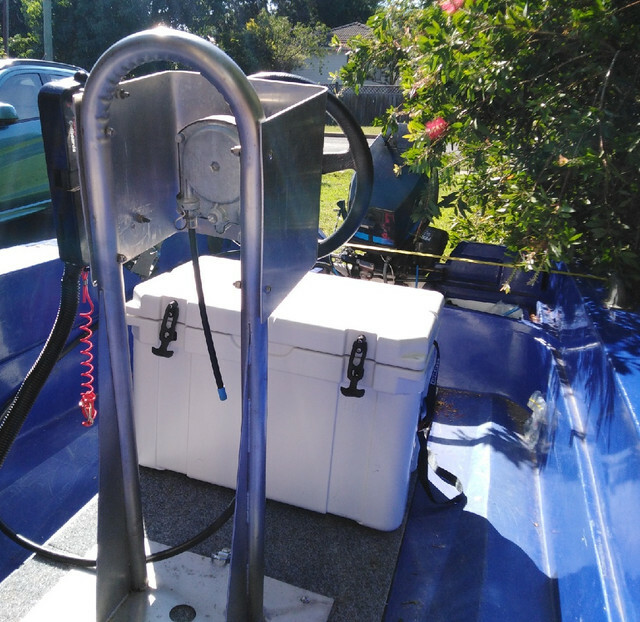 Ive attched some metal loops to the floor and I will be able to run the Esky/Seat in 2 configurations. Stoked with the result and looking forward to testing. All times are GMT10. This page was generated at 18:54.